Microsoft may not have had any new hardware to launch yesterday, but the company did bring along a little something something in the way of consoles. That’s right, for those who insist their love of Gears of War extends far beyond the norm, you’ll be offered a chance to prove your commitment when GOW 3 finally launches on September 20. 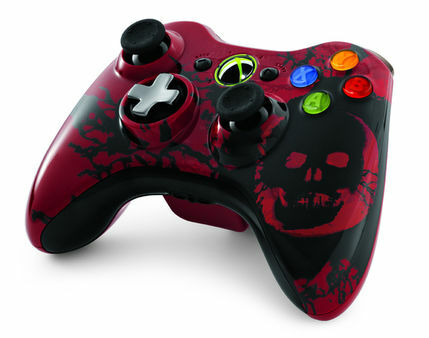 This console will be launched as part of a bundle that features one swanky looking 320GB Xbox 360 (complete with customized sounds for the power and eject buttons), a (standard edition) copy of the all important Gears of War 3, a wired headset, and a downloadable token for the Infected Omen Weapon Pack and Adam Fenix multiplayer character. Of course, you can’t play Xbox without some Xbox controllers, so you’ll be getting two matching controllers for your troubles. If two isn’t enough, you can purchase extras at $59.99 a piece. Pricing is set at $399. No word on price or availability for other regions, but we’ll keep you posted.